This July, I visited Xiamen, Fuzhou, Shanghai, and Beijing. 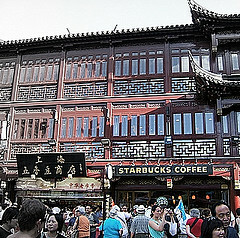 This was my first time in mainland China. The first week, I traveled with my grandmother, dad, first uncle and aunt, third uncle, and fourth aunt. 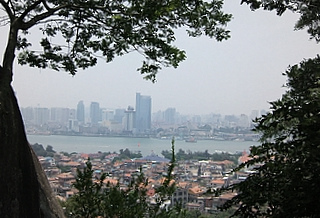 We explored the island city of Xiamen where my grandmother went to boarding school beginning at age 13. 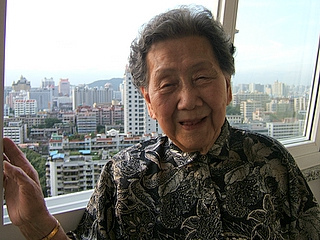 Throughout our time there, my 97-year-old grandmother asked, "What are we doing in Hong Kong today?" 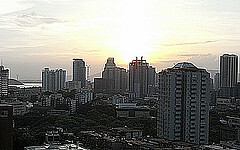 Xiamen had changed since she was young. It was now full of high rises and she was surprised. 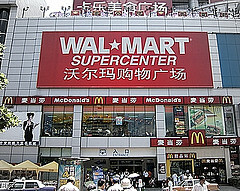 I was also surprised by China's modernization. porcelin shatters surprising the cicadas. Here are photos from Gulangyu, an island that used to bear the sign "no Chinese, no dogs." it was inhabited by foreigners from 13 different countries and had mansions and pianos to rival Europe. 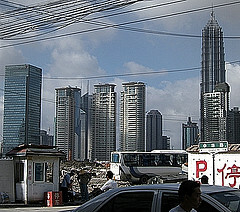 After Xiamen, my dad returned to Seattle, my other relatives went to Manila. I went on my own to Shanghai. I stayed with two teachers, age 70 and 64. In this metropolis of 20 million, I'm surprised to see old men wear pajamas on the main tourist drag Nanjing Lu. Children run around naked enjoying the People's Square fountain in the summer heat. Storeowners say "man zou" or walk slowly as the good-bye phrase, so I feel relaxed, even though my feet hurt from walking all day. driven by a wax Englishman. looks for work pushing rickshaws. clothes the price of an airline ticket to Beijing. After Shanghai, I went to Beijing. 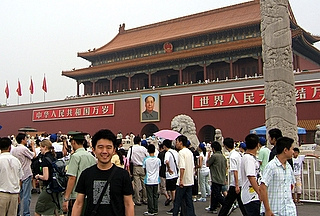 I visited all the main attractions: Tianamen Square, the Forbidden City, Tian Tan, and the Great Wall. I was very lucky to have Suli, Jessie, and Chen as hosts. They brought me to a retro Mao military bar, a tea house, the conservatory of music, and other places. Still, I was saddened by Beijing, especially the pollution. as I search for the buddha. passes me up the Great Wall. the $45 RMB entrance fee? as it rests against handrail. "you are lucky to travel"
to lay my head on my own pillow. that matches her straw broom. "get back to work," she says. I have many more thoughts about China that I will continue to write. The exciting news is that I will be going back to China in August as a delegate for the Dragon 100. Your grandmother looks very healthy and vibrant! You have good genes. I like your poetry. Great trip, story, and especially photos! Thanks for taking the time to share.